AAPL - A couple of days ago I highlighted a technical note on AAPL regarding its potential break out. Today AAPL broke out. The daily chart indicates levels of resistance, despite the negative trend breaking. I think the current levels of resistance will be relatively weak because the longer-term trend via the weekly chart looks really nice. POT - It is very near its negative trend. ATI - During the recent move I traded it as it was approaching the 64-66 resistance. With its push back from the resistance, I re-entered and am looking for ATI to re-approach 66 and breach it. As the end of the year gets nearer, ATI should revisit its highs. 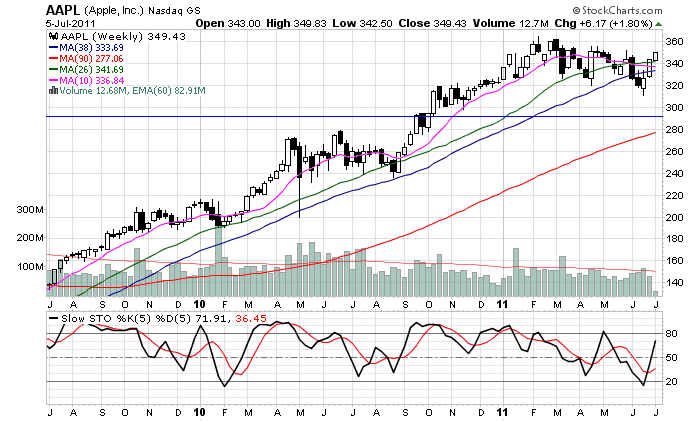 GOOG - I originally wanted to get into GOOG as it approached high 400s with a declining market. But I hesitated because I thought the pending Facebook IPO would cause fund managers to sell Google and enter Facebook. But the more I read about Google+ the more we begin to realize Google 'gets' social. And when looking at Google+ as the glue to many Google offerings, this is a very powerful combination that merits renewed interest in GOOG. 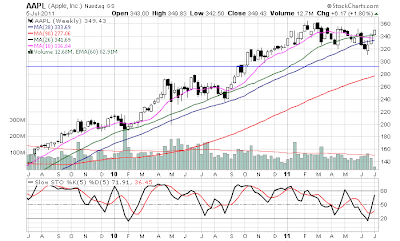 Technically, GOOG is shifting from its negative trend, and I am looking to actively trade it upon a consolidation. I am hoping it consolidates around the current level, then push toward 570-580 level.